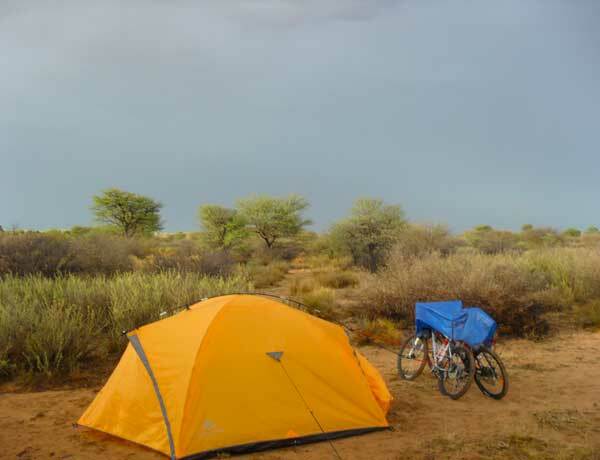 I woke up suddenly, startled by something outside our tent…then it dawned on me, in our scurry to get out of a rare Kalahari rainstorm we secured our bicycles under a tarp and had left our rubbish bag outside the entrance of our tent. It was now a tasty treat for some or other scavenger. 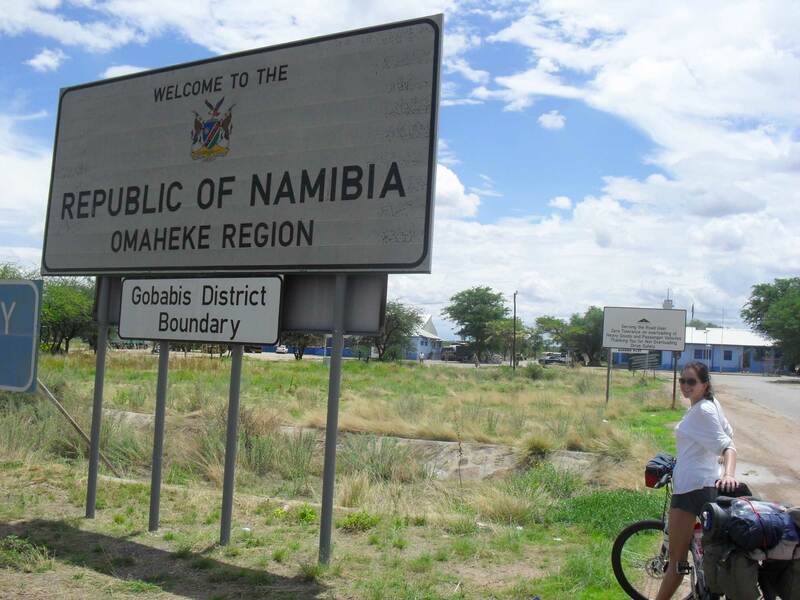 So how did we end up here; two law students, two bicycles and hundreds of kilometers from our final destination, Windhoek Namibia? 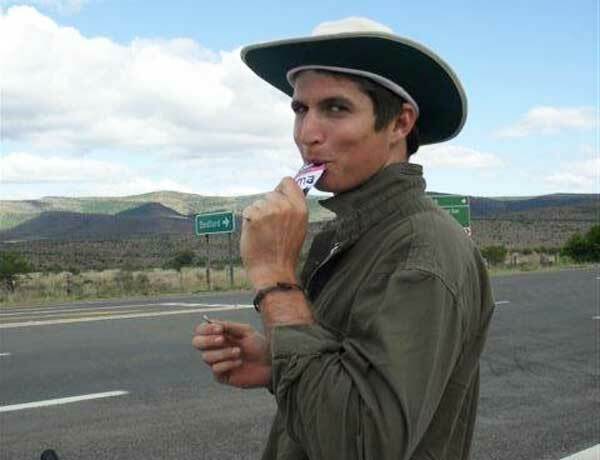 The decision to cycle 2070 km from Grahamstown in the Eastern Cape to Windhoek, Namibia came to fruition on a piece of scrap paper exchanged between my boyfriend (now husband) and I during a mundane lecture on the law of property. Passing guilty smiles and trying to avoid beaming looks from our 2nd year law lecturer, it was done. 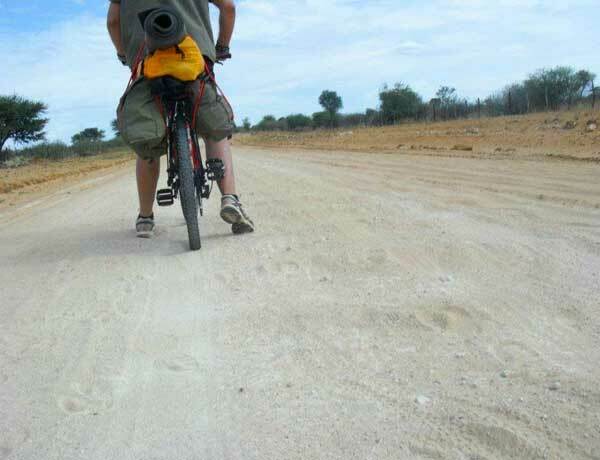 Abe and I had agreed on our next adventure – we would cycle to Namibia for the holidays through South Africa and Botswana, unsupported. Although our mothers initially challenged our cycling idea with great protest, they quickly became devoted supporters and organised our medical supplies and what they considered ‘essentials’. The problem with two mothers providing essentials was that we had to carry them on our bicycles. The carrier bags were made from two modified canvas fishing bags and the tent was strapped to Abe’s bike with ever-stylish cable ties. After 15 days of battling the elements and covering some 1700 kilometers through South Africa and Bostwana, we finally crossed the Namibian border at Buitepos. I had a good laugh with the immigration officer at the border as we tried to fill out the Namibian entry form. It required filling out ‘mode of travel’ without any option for my battered bicycle. The true attraction of the cycle however, was the unknown – not knowing where our next meal would come from or where we would sleep. The result was exactly what we were looking for – freedom – and with it a sense of raw, unplanned adventure. Once we had straightened out the technicality we pushed on. 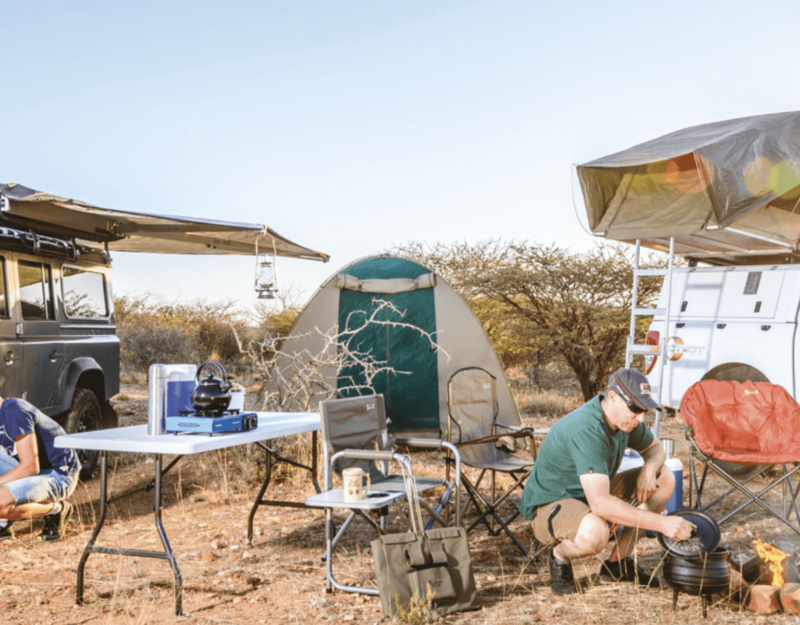 By this time we had done our fair share of camping with the free-roaming lions of Botswana and had become accustomed to the summer rains and thunderstorms which were once again brewing above us. Luckily, within 10 km from the Namibian border a Land Cruiser trying to break the speed barrier flew passed us, braked and then furiously reversed. We were greeted by a local Namibian. After a quick exchange, she insisted that we stay the night in her newly established tented camp. As our food supplies were dwindling by this stage, Abe and I made our famous rice and bully beef gourmet meal and we were able to relax our worn, burnt bodies which now boasted a very attractive “boere tan“. As we neared our final destination (Windhoek), I was desperate for a bath and being a true girl, a chance to wash my hair. To my delight we came across a crystal clear reservoir (sink dam) in the heart of cattle country in the east of Namibia. After ample stalking around the nearby farm house, we realised that no one was home and decided to take the ‘plunge’ before continuing. 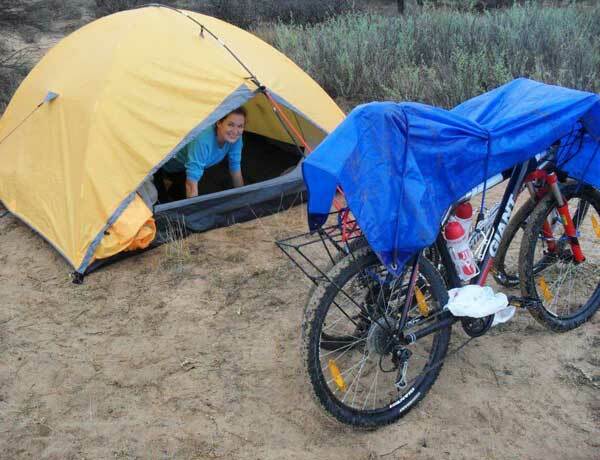 Later that evening Abe and I set up camp in a dry riverbed in the Nossob River and as the rain began to fall, we secured our bicycles for the last time under the tarp. After 2070 km, 20 days and three countries our adventure to Windhoek, Namibia had come to an end. Our journey ranged from raw camping amongst unfenced wildlife and eating dry rice, to luxury tented camping. The true attraction of the cycle however, was the unknown – not knowing where our next meal would come from or where we would sleep. The result was exactly what we were looking for – freedom – and with it a sense of raw, unplanned adventure.